Applied philosophy has been a growing area of research for the last 40 years. Until now, however, almost all of this research has been centered around the field of ethics. 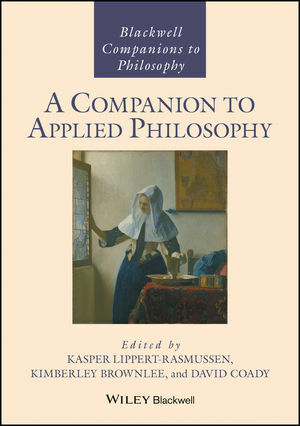 A Companion to Applied Philosophy breaks new ground, demonstrating that all areasof philosophy, including epistemology, metaphysics, philosophy of science, and philosophy of mind, can be applied, and are relevant to questions of everyday life. This perennial topic in philosophy provides an overview of these various applied philosophy developments, highlighting similarities and differences between various areas of applied philosophy, and examining the very nature of this topic. It is an area to which many of the towering figures in the history of philosophy have contributed, and this timely Companion demonstrates how various historical contributions are actually contributions within applied philosophy, even if they are not traditionally seen as such. The Companion contains 42 essays covering major areas of philosophy; the articles themselves are all original contributions to the literature and represent the state of the art on this topic, as well as offering a map to the current debates.